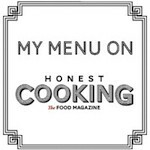 As you can see from the recently posted recipes, I am immersed in autumn and its seasonal ingredients, and the fact is that I am really discovering new recipes which go strightaway to my must-be-cooked list. This bulgur recipe with butternut squash is an exemple. Don't know if you have ever tried Bulgur, in my case, this is the second time I use it and I am completely in love with it. Have you ever smelt the multicereal babie's porridge? It smells as delicious as Bulgur, and I am quite sure there is bulgur in its recipe. Bulgur has a touch of sweetness (in fact, it is commonly eaten with sugar and milk, in India) and I am sure it can be a good ingredient for some desserts. I promise I'll try. 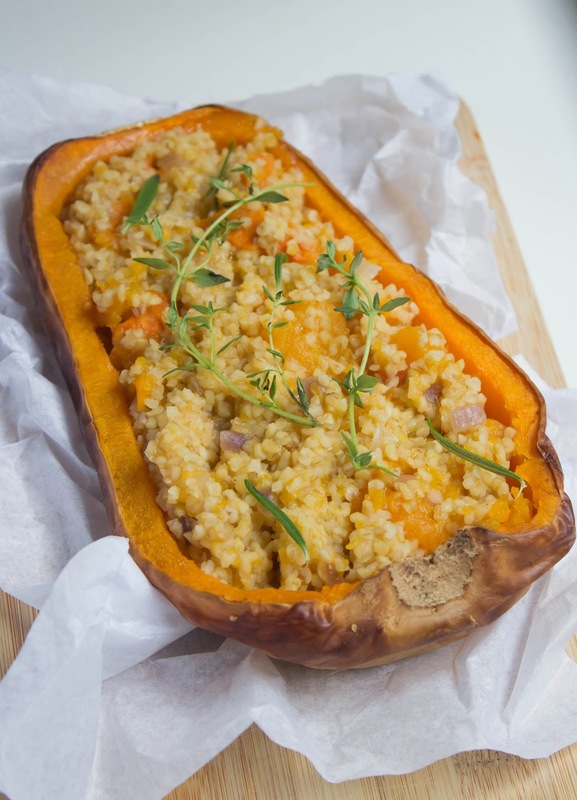 However, today's recipe is a good plate for these autumn days, its colour, as well as the bulgur smell, will provide your kitchen and body a warm scent. - Olive oil, salt, pepper and rosemary. 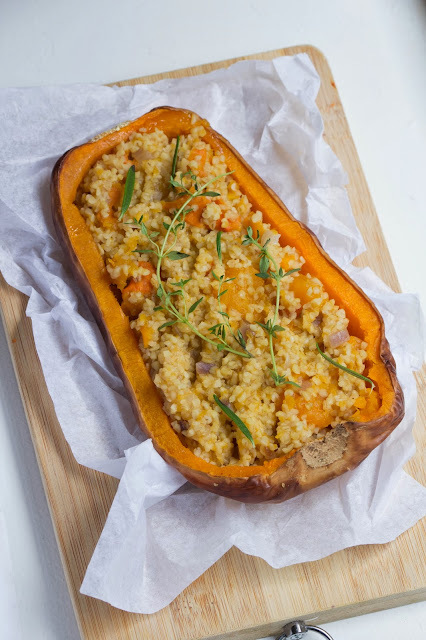 Place the butternut squash on the baking sheet side up and roast for 30 minutes or until it is fork- tender. Meanwhile, cut the vegetables and sauté them with olive oil until onions start being tranlucent. 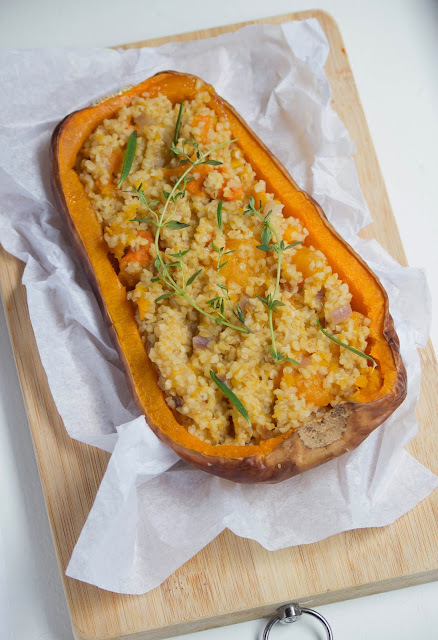 When the butternut is tender, add the butternut squash fleet and the bulgur wheat to the onions and carrots, stir until well mixed and pour the water. Let it simmer for ten minutes, or until the bulgur wheat is done. Season with salt and pepper and add some leaves of rosemary.